One of those ‘only in today’s world’ type of releases, the two piece of Kosmogyr are from the Czech Republic and China. One imagines a lot of file trading over the Internet to bring this vision together, which is just as solid a method as any nowadays. The bottom line is that Eviternity is a competent debut, but one that doesn’t exactly reek of originality. 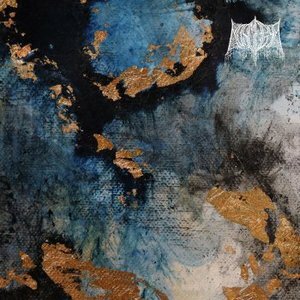 At its core, Kosmogyr have crafted a traditional black metal album that does choose to move in a slightly different path on occasion. You have all of the basic fixings – from tremolo-picked melodies, blastbeats a-plenty, throaty rasps, and a production that’s on the rougher side of things (but one that fits the style without taking it too far into muddy extremes). All of these elements are well-done and give the band a basic framework to branch out from. A song like “The Wane” features the violent, buzzsaw-ish guitars that you crave, with just enough melody to keep it interesting. The band does venture into more reflective and somber moments, such as the two instrumentals and the openings of “Vision” and “Quiescent,” which gives an almost post-black and more expressive tone even after the faster tempos kick in. Unfortunately, these moments are a bit too far between and the barrage of speed over the course of a 52-minute album length begins to take its toll on the listener. There’s simply too much reliance on the black metal structure without taking it in some different directions with 6-7 minute songs, which causes a loss of momentum. There’s flickers of promise scattered about through Eviternity, but it doesn’t gain as much traction as it should. Either a slightly shorter timeframe, or a bit more exploration of the post-black and atmospheric elements would give the band just the boost that they need to make their mark.